Political and Electoral Expert, Dr. Ramasy is a lecturer at the University of Toamasina, Madagascar, where he teaches constitutional law. He is a PhD in political sciences from the University Toulouse 1 Capitole, France. His thesis focused on the following issue: "State and the implementation of democracy in the islands of the southwest Indian Ocean: the case of Madagascar and Mauritius." 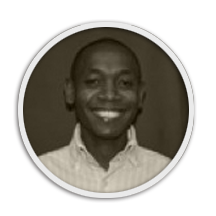 Dr. Ramasy has a decade of professional experience, as African and Malagasy Expert, in the field of political science, political history and international relation research. He has been a visiting scholar at the Institute of Diplomacy of China in 2011. In 2012, he was Visiting Professor at the Institutd'EtudesPolitiques de Lyon (France) and at the Institutd'EtudesPolitiques de Toulouse (France). In 2013, he was a Visiting Scholar African Studies at the center of Leiden (Netherlands). He has participated in a number of academic conferences and symposium where he presented his work on the Malagasy political and electoral context. Dr. Ramasy published several essays and articles on the democratization process in Madagascar as well on cross-cutting legal issues such as the legal framework for protecting child within armed conflicts in Africa or the setup of special tribunals in Africa. His current research works focus on the following issues: state, political elites, security forces, electoral processes and democracy in sub-Saharan Africa.